REAR PTO TO RUN TILLER NOT INCLUDED-. Ordering By Mistake. Not knowing the part you needed. Used Case 446 Garden Tractor, Rear Tiller Valve With Lines, Removed in working order, Cleaned, Ready To Use. Check out all My pictures. PARTS REMOVED FROM TRACTOR SHOWN IN LAST PHOTO (COMPLETE MOWER NOT FOR SALE). Hydraulic Hose Cracked (Needs Replaced) Tines Are In Good shape. Check out all My pictures and Ask If Any Q's. -Tiller Will Need Serviced before use (Hydraulic Hoses Cracked). Bin# Outside. TINES ARE 75% Plus. Drive shaft U-Joints Feel Tight. Check out all My pictures. LAST PHOTO SHOWS TRACTOR, This Mower DECK WAS REMOVED FROM (NOT FOR SALE WHOLE). Not knowing the part you needed. Garden Tractor, Lawnmower, Tiller Zeroturn, Snow Blower with Tubeless Tires. Always reference the part number for the item that you are replacing. This will insure order accuracy. Replaces OEM. New 3 POINT HITCH ROTARY TILLERS. Tractor HP. Drive Type Center Driven Gearbox & Chain Side Box. Rear Deflector Spring Loaded. Hitch Type 3 Point. SIZES AVAIL 50" 55" 60" 72". Coupling Type Direct Slide-On. New 3 POINT HITCH ROTARY TILLERS. Tractor HP. SIZES AVAIL 50" 55" 60" 72". Drive Type Center Driven Gearbox & Chain Side Box. FORWARD TILLING. Rear Deflector Spring Loaded. Hitch Type 3 Point. Coupling Type Direct Slide-On. Manufacturer: King Kutter. King Kutter's ATV Compact Disc has many features found only on the larger models. high carbon steel axles, 14in. notched disc blades and more. 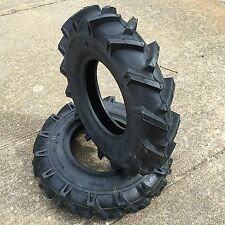 Easily pulled by ATVs or garden tractors with a 1 7/8in. New 3 POINT HITCH ROTARY TILLERS. Tractor HP. SIZES AVAIL 50" 55" 60" 72". Drive Type Center Driven Gearbox & Chain Side Box. Rear Deflector Spring Loaded. Hitch Type 3 Point. CAN PICKUP IN GEORGIA. Tiller - Tow Behind. Heavy Duty 36" Cut, 5 Hp Tow Behind Tiller. This tiller can be towed behind ATVs as well as lawn tractors using a universal pin type hitch. 3 Ft (36") Till Width - 5 Hp Briggs & Stratton - Heavy Duty 7 Gauge Steel Tines. For sale NOS Cub Cadet Tiller 90 Degree Gear Box. It was still in the IH box when I received it. There is a chip in the bottom pulley, this should not affect the use. Hitch Type: Pin Style. Application: for use with ATVs, UTVs and Garden Tractors. 20º angle produces optimum cutting. Disc Blades: 8 - 16" Notched. Easy flip-over design for easy transportation and storage. Original 1968-1972 John Deere model 110 or 112 Lawn & Garden Tractor rear lift system.This one is correct for model 110 serial number 100,000 to 272,000, and 112 serial number 100,000 to 259,999. Garden Tractor Novelties. Garden T ractor Clock. Garden Tractors Pride and Turf. and of course we are on the Web. New 3 POINT HITCH ROTARY TILLERS. Tractor HP. Drive Type Center Driven Gearbox & Chain Side Box. FORWARD TILLING. Rear Deflector Spring Loaded. Hitch Type 3 Point. SIZES AVAIL 50" 55" 60" 72". Coupling Type Direct Slide-On. Application: Tow Behind ATV, UTV, Garden Tractor or Compact Tractor. Hitch Type: Ball Type - 1-7/8". Disc Quantity: 10 Disc Blades. Cut Width: 33". Disc Type: Notched. Overall Width: 36". Application: Tow Behind ATV, UTV, Garden Tractor or Compact Tractor. Hitch Type: Ball Type - 2". Disc Quantity: 10 Disc Blades. Cut Width: 33". Cutting Depth: 4". Disc Type: Notched. Overall Width: 36". PROBABLY FROM THE 40's OFF A FRAZER TILLER. YOUR GETTING A FRAZER GAS TANK. HAS A TOLEDO OH. FUEL BOWL ON IT AND A PART OF THE CHOKE OR TROTTLE CABLE, I BELIEVE TO ALL ORIGINAL. VERY COOL LOOKING PIECE. ((See How People lived and what they bought then ) 160 pages). Our books are built to high standards of quality and durability! To give you the best manual that will serve it's purpose of clarity, utility and longevity. See How People lived and what they bought then (176 pages). Printing in full color when possible to present the full aspect of the original author. Our books are built to high standards of quality and durability! 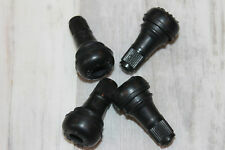 JOHN DEERE 110 112 140 210 212 214 216 Garden Tractor Tiller Sleeve Hitch Studs. Condition is Used. Shipped with Economy Shipping. RIM Manufacturer: Husqvarna Rim Type: Welded Steel NHS. Wheel Color: P25 Husqvarna Marigold. Style: Slotted Key Drive Axle Wheel. This tire is not intended for use in automotive Passenger Car or Light Truck applications.